Mesh WiFi is the solution to overloaded WiFi networks with dead spots & patchy performance. Take a quick look at your current WiFi access point – chances are it’s the modem that your ISP gave you for free and it looks pretty much the same as the last one, and the one before that. There’s a good reason for that – it is pretty much the same. What’s not the same is the demand you’re putting on the little combination device. Combination because it’s a modem – the gateway to the internet – primarily, plus it’s a router & it’s also got WiFi functionality tacked on. Chances are, it wasn’t designed for anything like the demand it’s being subjected to. The recent proliferation of Internet-accessing devices & their massive bandwidth demand is quite simply overwhelming these little plastic boxes. End result – dropped connections, broken downloads & more – inevitably leading to bickering & arguing, dammit! Ever ridden a mountain bike? Rear suspension & knobbly tyres absolutely ruin the commuting experience. But push off from the top of a steep peak & you’ve got some serious fun coming your way. Use a device for it’s sole purpose & you’ll get the best result. Take that freebie modem, switch off the internal WiFi. Use it for it’s primary intended purpose only. Now solve your WiFi access issue cleverly. It doesn’t take much thinking to figure that a single WiFi access point will offer less performance the further away you are. So larger or heavily populated spaces require a better solution than just an Airport Extreme, for example. Enter Mesh Networking, specifically Mesh WiFi. Thankfully, Mesh is not a new & experimental technology that the computer industry is imposing upon the public whilst requiring you to act as guinea-pigs. Not this time anyway. Mesh WiFi is the same technology that’s been used to successfully power commercial WiFi spaces for years, produced on domestic scale with simplified control panels, realistic cost prices (well, compared to commercial installs anyway) and marketed by brands you’re aware of. 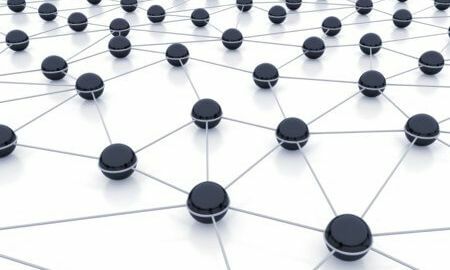 Mesh is most often a group of intelligent access points that communicate with each other on a separate, hidden network. Your WiFi network is availability is broadcast by each node, the accessing devices pass their data calls on your visible network to the nearest node which then dumps it onto the hidden, backhaul network for feeding to/from the gateway/internet. The result is strong signal over as wide an area as you need, consistent performance for all devices, and, thankfully again, an end to the bickering & arguing. The current standard of WiFi extenders is a poor solution to the WiFi range/signal/performance problem. Without going too far into it, because WiFi Extenders are endpoints, they don’t do much more than stretch the existing resource out – further but thinner. Mesh doesn’t have endpoints, all nodes talk to each other – creating a stronger network with each additional node. To all who invested $350 in those Netgear Hawk Extenders – I feel for you, you identified your problem but invested in the wrong technology. 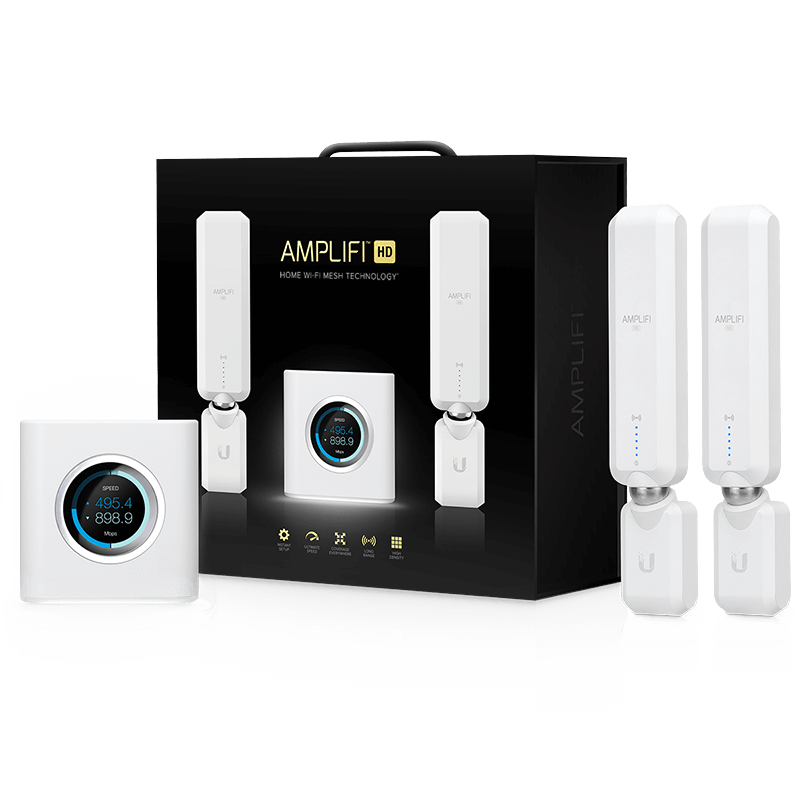 Ubiquiti – the go-to brand for commercial mesh networks that blanket entire campuses in rich, smooth, steady bandwidth have released Amplifi, a domesticated version of their massively powerful industrial products. Although the form factor is a little different to Google’s, the implementation is the same. To cover a bigger area, simply purchase another Amplifi Extender. Today the courier brings my first Google WiFi kit. I’ll be installing it in a 3-level house where the 5 residents consistently break their current Internet connection. PS4, laptops, that new Nintendo thing, tablets, smart TV’s, cameras, iPhones & Galaxy S7 & S8 – all demanding their fair share of the max 50MB/s VDSL connection. I’ll survey the current setup, record the data then install the groovy-looking Google WiFi kit. The Google WiFi app lets me monitor performance remotely, so I’ll have a definitive comparison available when you call to enquire about your own Google or Ubiquiti Mesh Wifi system from 1024kb.